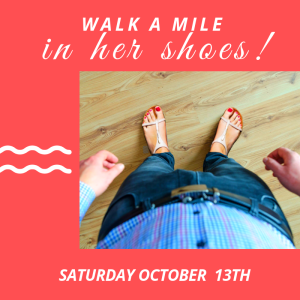 Walk a Mile in Her Shoes! TOMORROW, Saturday October 13th at the Pen Centre! Support or participate in this gesture of men marching in women’s shoes to help raise awareness and funds for the issue of violence against women.